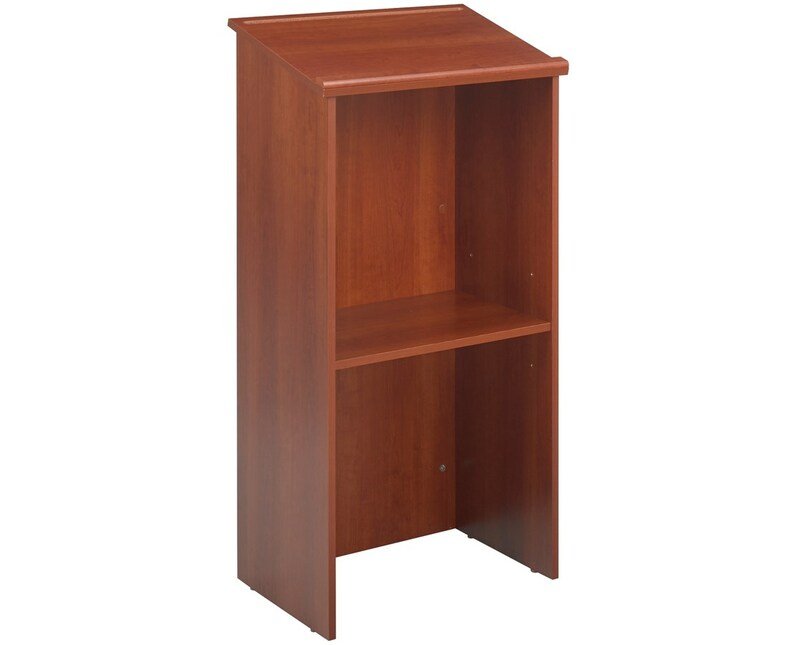 The Safco Stand-Up Lectern is a simple but tough wooden stand for speakers and presentations. 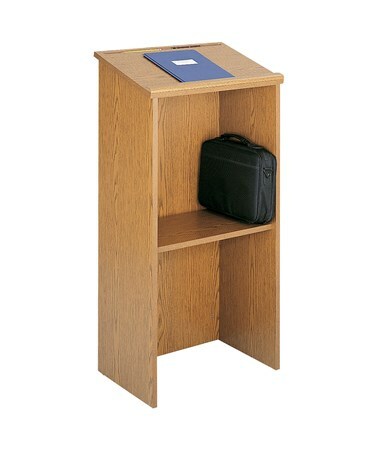 It has a 23-inches wide reading surface with a 15 degrees slope, a pencil tray, and a round-molding lip to help hold documents and other items on the surface. 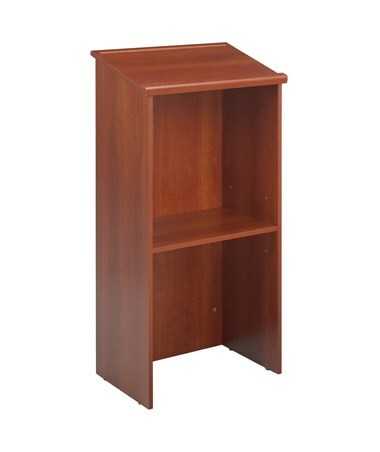 It also has a lower shelf that can be adjusted in 2.5-inch increments for flexible compartment sizes. Also included are floor glides to protect surfaces from damages. 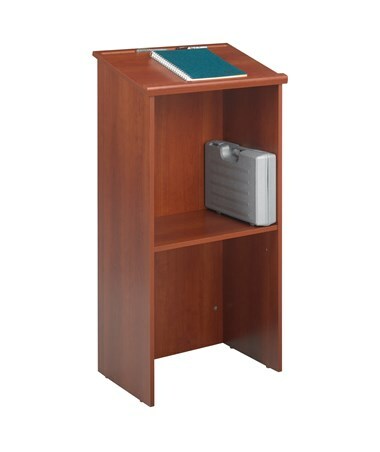 This lectern is made of furniture-grade particleboard with a laminate finish. It is easy to assemble with the cam-lock fasteners. 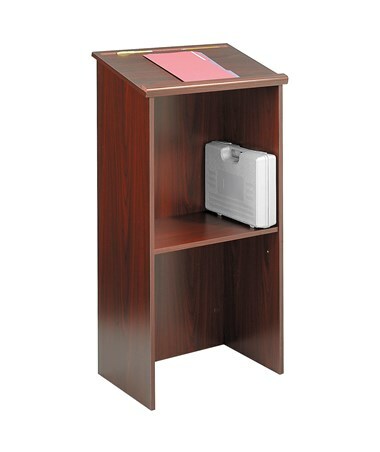 The Safco Stand-Up Lectern is available in three different colors. Please select your preference from the choices above.